at Alpacas at Marquam Hill Ranch, LLC. In the 10 plus years that we have been part of this incredible industry, one consistent question has been asked of us more than any other. How do you sift through all the information/data available to make an informed breeding decision? Do you rely on Histograms, Skin Biopsies, EPD’s, pedigree, crimp style, awards in the show ring? The list goes on and on. Depending on who you ask, there are an unlimited number of answers to that question. Providing a solid insight into a number of the scientific tools available and then getting an in-depth understanding as to how successful breeders use these and/or other tools in their actual decision-making process is the purpose of this year’s conference. The event will take place at Alpacas at Marquam Hill Ranch on the June 30th through July 2nd. Local wine and beer tasting and other specialties will be available to enjoy. We are located 45 minutes from the Portland International Airport and 25 minutes from Salem. We are on the east side the beautiful Willamette Valley, between Molalla, Oregon (home of the Molalla Buckaroo on this same weekend) and Silverton, Oregon (The Garden City). 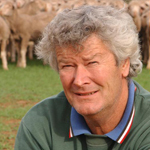 One of Australia’s most progressive sheep breeders, genetics from his breeding program can be found in flocks across the Australia. Michael is a pioneer in juvenile in-vitro embryo transfer technology, which Andrew says is “super charging” the speed of genetic gains. The technique uses genomic data to select superior breeding stock within weeks of birth. Using this technology, Andrew said he could achieve genetic gains within 12 months that would have taken six years of conventional breeding. 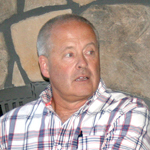 Enns is an expert in Estimated Progeny Differences (EPDs). He helped develop the program that is currently being used by AOA. He continues to educate on this subject throughout America. He currently works as a professor in Animal Science at Colorado State University. Dedicated to building a more robust market for American-grown animal fiber, Stacie is working to build a brand that highly stresses quality U.S. made products. Stacie and her husband Skip also have established a living livestock model (Sky Ridge Alpacas) for Alpaca ranching in Tygh Valley, Oregon. 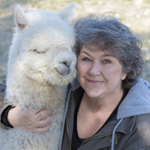 Ask for the Alpacas at Marquam Hill Ranch group rate. Reservations must be made prior to May 15th. The Silverton Inn & Suites is a luxury boutique hotel located less than a mile from The Oregon Garden one of Oregon's most popular destinations, and minutes from The Silver Falls State Park. The Inn's incredible lodging experience includes rooms with their own individual character. Designed with a hint of European flair, the Silverton Inn & Suites highlights Silverton's history and creates an atmosphere of leisure and romance. Occupying a key corner of the downtown historic district, Silverton Inn & Suites has been called "the landmark of the town." The Inn is within walking distance of restaurants, art studios, antique stores and other specialty shops. It is in the center of it all — where guests can stroll down the street or wander along the creek side to visit the city parks, the city pool and the extraordinary tour of murals. To experience the appeal of small-town Silverton, one must be in the downtown historic district, where culture and community come together. Silverton Inn & Suites offers this opportunity, where you can truly experience the delight of "Oregon's Garden City." 3 Ten Water provides a unique dining experience in the heart of Silverton, Oregon. Nestled in the historic Silverton Inn & Suites, the classic styling and cozy atmosphere make you feel right at home. Chef Michael Rich brings a touch of French and Italian cuisine with his own hometown flare, and touch of personal style. Come relax after a day at The 12nd Annual Advanced Alpaca Breeders Conference at Alpacas at Marquam Hill Ranch, at the Oregon Garden Resort. Enjoy a massage at our Moonstone Spa, a Northwest inspired meal in our Garden View Restaurant and live entertainment in our Fireside Lounge. King and double queen rooms are available. All rooms come with admission to the 80-acre Oregon Garden and a full hot breakfast buffet. Fireworks after each evening performance! 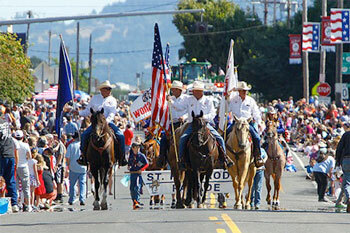 Started in the early 1920’s The Molalla Buckeroo Rodeo is an annual rodeo in Molalla, Oregon. 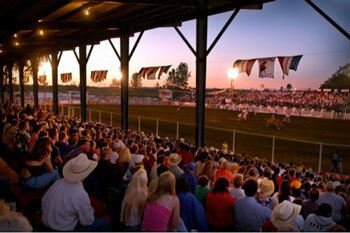 From that humble beginning, the St. Paul Rodeo has become one of this nation's top rodeos with prize monies approaching $500,000, nearly a thousand competitors, and was designated as a Wrangler Million Dollar Tour Rodeo making it one of an elite group of eight rodeos attracting the top competitors in the world. Mark your calendars now and join the fun at the 82nd Annual St. Paul Rodeo June 30 – July 4, 2017. 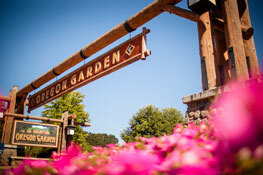 Welcome to The Oregon Garden! Our mission is to welcome and inspire all visitors with an appreciation for the extraordinary ecology of the Pacific Northwest, and to provide a meaningful educational experience for gardeners of all skill levels and ages. We are an 80-acre botanical garden, featuring more than 20 specialty gardens showcasing the diverse botanical beauty that can be found in the Willamette Valley and throughout the Pacific Northwest. We have educational specialty gardens for everyone, from the Sensory Garden and Rose Garden to the Children’s Garden and Pet-Friendly Garden, or the Silverton Market Garden and Amazing Water Garden. We also offer a complimentary narrated tram tour April – October, and we are pet-friendly. The Gordon House, the only building in Oregon designed by Frank Lloyd Wright, offers guided tours of the interior of the house. The tours are conducted by knowledgeable and entertaining docents who will cover the theories and practices of Frank Lloyd Wright’s architecture, the story of how an Oregon farm family commissioned Mr. Wright to design their new home, the near destruction of the home in 2000 and the rescue, dismantling, moving and reconstruction of the house in Historic Silverton next door to The Oregon Garden. Waterfalls: Where else can you walk behind a waterfall? 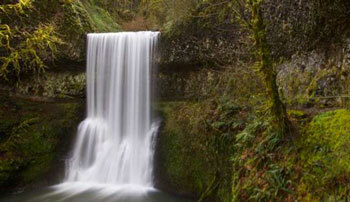 Check out the famous South Falls and see what a 177-foot curtain of water looks like from behind. It’s part of the Trail of Ten Falls, a spectacular, nationally recognized hiking trail that weaves through a dense forested landscape. The trail passes a series of breathtaking waterfalls along a rocky canyon, and descends to a winding creek at the forest floor. This 7.2 mile loop is considered to be a moderate hike, with an overall elevation change of 800 feet. Several connecting trails with separate access points make shorter routes. For everyone’s safety— absolutely no pets. There are over 250 of wineries in the Willamette Valley, we are in the Eastern Willamette Valley AVA, and you will be sampling some wines from our next door neighbor, AlexEli vineyards and winery as part of the conference. Let us know if you would like to do some wine tasting prior to or after the conference and we would be happy to help guide you to what you are looking for!